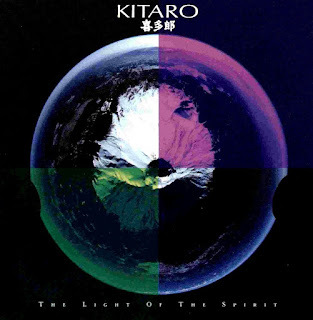 This 1987 album by Kitaro is in my opinion a transition album, a bridge of sorts between his more ethereal early period from 1978 to 1986, best represented by his ‘Silk Road’ albums, and his more expansive, orchestral style that characterized his albums post-1987 to the late 1990s. In particular, the use of the electric guitar in tracks like ‘Sundance’ and ‘Journey to a Fantasy’ marked a turning point for Kitaro – he would continue to use the instrument until today, giving his music a heavy tinge of new age rock. Produced in collaboration with Grateful Dead drummer Mickey Hart, The Light of the Spirit is also an experiment with newer, expansive sounds, but retaining the musical styles and arrangement of some of Kitaro's better known tracks of the early 1980s. While this is a decent album, it is best seen as a prelude to one of his true masterpieces – Kojiki (1990). 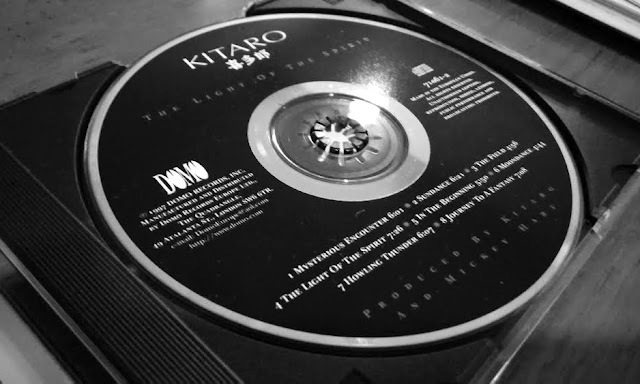 ‘The Light of the Spirit’ – Possibly the first time that Kitaro used a human voice as accompanying vocals. He has used synthesized voices or choral effects before, but this is a breakthrough for him as an artiste that would pave way for his collaboration with singer Jon Anderson in the 1992 album Dreams. The title track is my favourite of the album with layered arrangements and a wonderfully long melody performed via synthesizers and the harmonica. ‘Moondance’ – An enchanting piece with the use of synths and acoustic guitars, gelling perfectly and expressing a love and yearning for the moon. Meant to be a less bombastic sister piece to ‘Sundance’, which has heavy rock elements. The 20-bit digital remastering causes the entire album to sound sharper than normal, with some negative effect on the bass produced (feels weaker). The sharpness, especially for track arrangements with higher-pitched instruments or keys, may cause unnatural discomfort if volume is turned up reasonably loud.